Destroyer are one tough mean fighting machine in Dragon Nest SEA. They don't back down on fights! Instead, they are enjoying an "in your face" kind of fight and loves to seek and destroy enemies. But the most awesome feature of a Destroyer is its ability to break armors and land critical hits to the enemies. 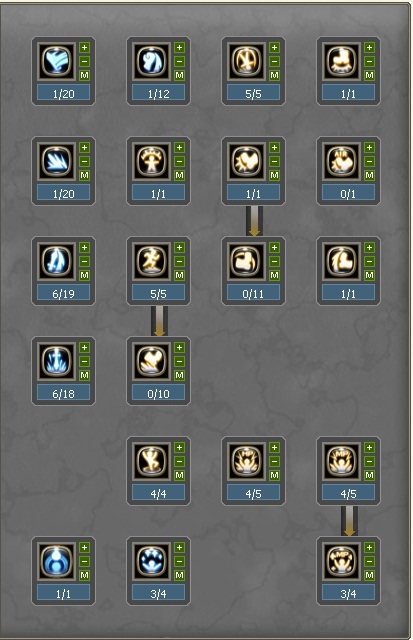 For those who have been waiting for a Skill Build for Destroyer in Dragon Nest SEA, then this is your lucky day. Yesterday, I have bought a Job Change scroll, change my Barbarian to Destroyer and, here I am, sharing my Destroyer skill build to you. 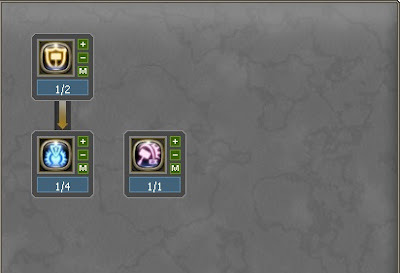 Before proceeding reading my guide, please take note that my skill build focuses mainly on PVE. I have max out the important Howls of the Destroyer and have learn the damager skills of this class. In addition to that, I have allocated SP at the Warrior skill tree just like what I have did on my Barbarian skill build. While in the Mercenary skill tree, it's almost identical also on my Barbarian skill build. The only difference is, I have level Flying Swing further to get its Ex version. Note: Please be reminded that this skill build is for the level 50 Cap only. It will change when the level 60 cap will come out. Stomp- Personally I level this skill to 6 as a Destroyer as the damage at this level peaks high and it has the ability to stagger enemies. Lastly, the movement reduction can also be a good asset especially in PVP. Demolition Fist- For a Barbarian, this skill may have great purpose as they might get the Ex Version for this skill at Level 60 Cap. It does have decent damage when leveled up and has a decent frontal AOE. However, for us Destroyer, we will be getting either Ring Bomb Ex or Punishing Swing Ex. So, at level 50, I strongly suggest not to level this skill high as there are no guarantees yet that we will getting a scroll reset on level 60 cap. Additional Note: For level 40 cap, level this skill high as at level 50, there will be a skill reset. Flying Swing- I'm not really a fan of this skill as it has a very slow casting speed. However, it can deal huge damage when it hits a tarfet and can launch them way up high into the air. Just put 6 SP on this skill to get its Ex version. Punishing Swing- Put 1 SP on this skill. Not really a damage-type skill but only a utility skill. It enables you to throw a ball at long distance and when it hits, it can cause enemy to stagger. Taunting Howl- I prefer to just leave this skill to 1 for utility purposes.. This has the ability to threat enemies, reduce their attack power and their critical rate which is good but, it's not GREAT. That is why I prefer to level this skill to 1 and besides, I only need this skill to flinch enemies. Breaking Point- Get this skill. The rate to trigger this skill may be low as we can only allocate 1 SP at level 50 cap for this skill but, you should get this skill as its very useful. When it is activated, it will destroy the super armor of the enemy and you can land critical hits. Flying Swing Ex- Put 1 SP on this skill. With this passive skill, you will inflict additional damage to your Flying Swing skill and also, it will increase the frontal range of your skill. Maelstrom Howl- Put 1 SP on this skill. One of my favorite skill as a Destroyer. Not only that it has a very beneficial suction effect, but it also has a damage reduction effect while its on action. The damage is pretty decent also leaving me no choice but to get this skill. Gigantic Bomb- 12% decreased cooldown. 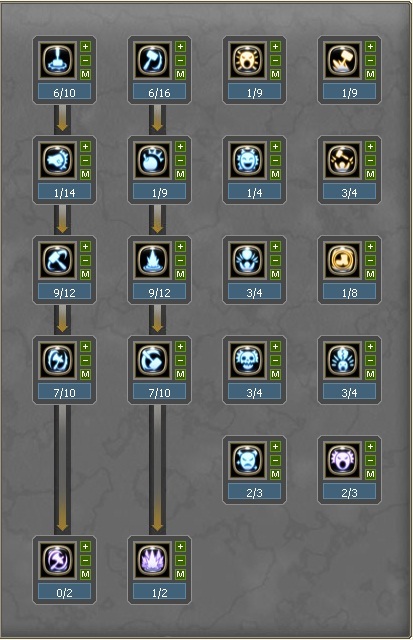 Did you find my article "Best Destroyer Skill Build in Dragon Nest SEA" helpful? If you do, then write down some feedbacks on the comment box or share your thoughts about my article. Suggestions and recommendations are also accepted. My situation was hopeless me and my husband was on the verge of divorce. I was in a awful state and felt that I was not able to cope with life any longer. I found ogbefispell@gmail.com Love Spells and tried one. Well, he did return and now we are doing well again, more than ever. Thank you so much ogbefispell@gmail.com, Catherine Allure, Paris.